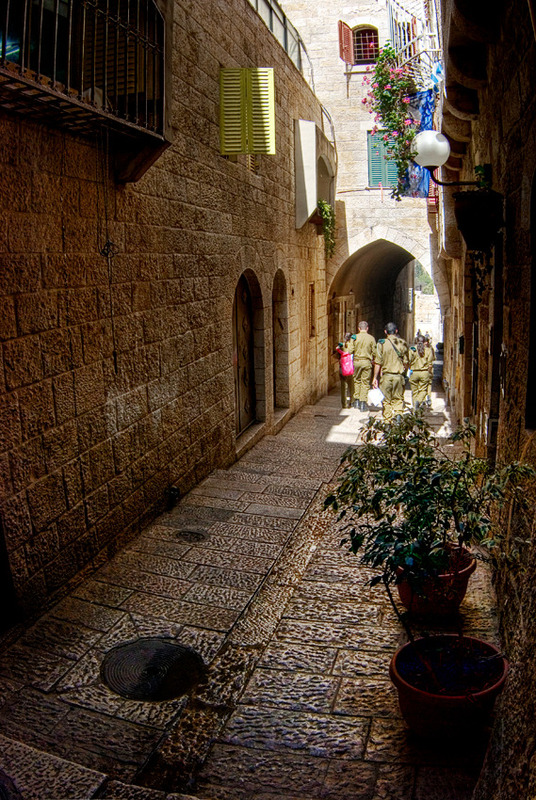 Whoever built Jerusalem, must have been master craftsmen (like the photographer). Just how can building look so old - and yet so pristine? Really well composed and full of interesting elements, this shot is so very pleasing. Nice work! I love those narrow streets, bathed in shadow and sun real challenge for the photographer, I am fascinated by the beauty of textures, stones, one would almost want to dwell on this sewer work so beautifully! An image very soft and beautiful!